The Yampa Valley is a premier fly fishing destination offering some of the best private and public access waters in the west. 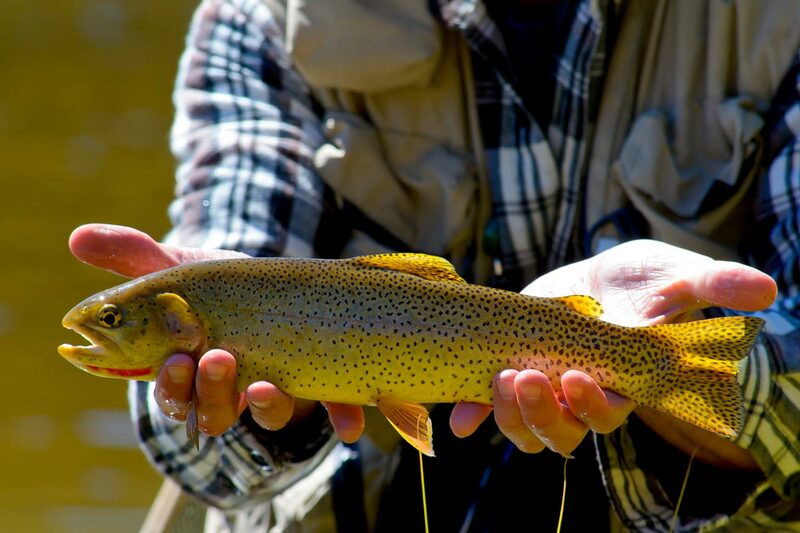 From pristine high country lakes and streams, to larger reservoirs with world class tailwaters, to the Gold Medal waters of the Yampa River that runs right through downtown, Steamboat Springs offers incredible options for beginner and experienced anglers alike. For the best experience, and the greatest likelihood of landing a lunker, check-in with a local fishing shop and it's highly recommended to hire a guide. The Yampa River, one of the few free-flowing rivers in the western United States, begins its flow in the Flat Tops Wilderness just south of Steamboat Springs. On its path from east to west, the Yampa flows through the Stagecoach Reservoir and Lake Catamount before meandering through downtown Steamboat Springs. 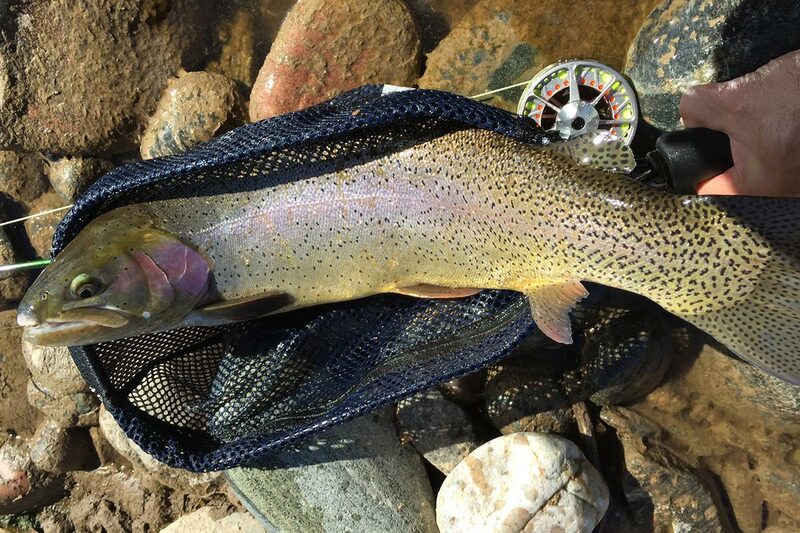 The Stagecoach tailwaters are a very popular locale for dry fly fishing, producing large trout of several species nearly every month of year. The reservoir itself is a great fishery with a good population of trout and pike. As the Yampa River flows through Steamboat there are several public access points where the habitat has been restored through the efforts of the Yampa Valley Fly Fishers, the local chapter of Trout Unlimited. This includes the Chuck Lewis State Wildlife Area and the stretch right through downtown. While close to town, it is common to witness wildlife such as bear, moose, elk, beaver, and migrating birds. Eagle and osprey have been known to pluck fish from the waters right in front of bewildered anglers. To learn more about the Yampa River and the Yampa Valley Fly Fishers ongoing efforts at restoration and maintenance click here. North of Steamboat, flowing into the Yampa is the Elk River. With its head waters high in the Zirkle Wilderness, this river provides some spectacular secluded fishing opportunities. Up Seedhouse Road the river runs swift and narrow, but holds some deep pockets with excitable trout. As the Elk meanders through the hay meadows of North Routt County, most of the fishing access points are on private land and can only fished with permission or a guide. Closer to town you'll find the Christina State Wildlife Area with public access and great fishing. 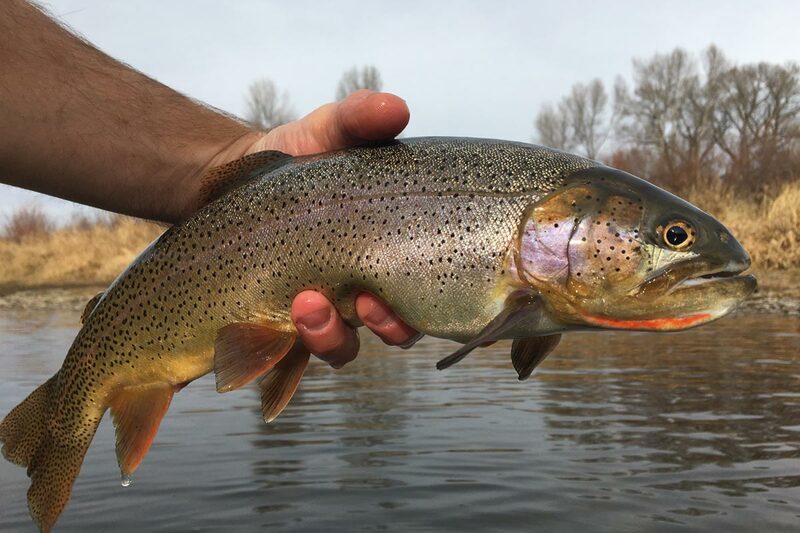 While the Elk is a smaller river it contains great trout habitat and is home to some of the largest Rainbows around. The high country lakes and reservoirs surrounding Steamboat also provide great opportunities for catching fish. Steamboat Lake, Pearl Lake, and Hahn's Peak Lake (all in North Routt) are easy to access and great places to float a canoe, belly boat, or paddle board. For the adventurous angler, the Zirkle Wilderness Area (north of Steamboat) and the Flat Tops Wilderness Area (south of Steamboat) hold some spectacular lakes that are only accessible with considerable hiking.